DB71T: Master Cylinder Repair Kit. Bore size 7/8" inch. 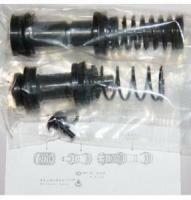 Rebuild you leaking or worn out Master Cylinder with this kit. For proper fitting we require VIN number when ordering. We have kits for all vehicles, inquire by email.